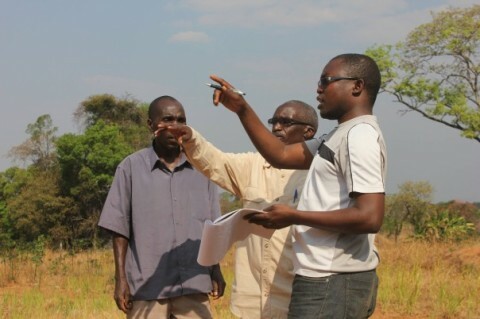 A group of farmers in Zambia who were displaced from their land because of large-scale mining activities have won support from their government – because of a news story written by Paul Shalala, a Thomson Reuters Foundation journalism trainee. Paul’s story – which he says was greatly informed by the training he received – earned him a nomination in the African Story Challenge, a pan-African project that awards grants and mentoring to journalists with outstanding ideas for multimedia storytelling. Paul was investigating the impact of multinational mining investments in Zambia on local people. His report looked at a number of mining developments, including the Munali Nickel Mine in the Mazabuka region, in Zambia’s Southern Province. He spoke to farmers who had been moved to a resettlement area where the soil conditions were far less favourable to growing maize. Other farmers told him about the serious water shortages they faced, caused by the mine’s depletion of the local water table.Click here to view his original documentary, broadcast on Zambia’s TV2 and ZNBC TV channels simultaneously. As a result of Paul’s story, President Michael Sata sent his deputy agriculture minister to assess the problems in Mazabuka. This led to government action on the issue. There are also plans for an animal breeding centre, and the government set aside funds in its National Budget to run projects that will help the farmers in Mazabuka and elsewhere. Paul has taken part in two Thomson Reuters Foundation journalism training courses, a Financial and Economic Reporting course in Kampala in 2012 and an Advanced Governance Reporting course in Johannesburg in 2013. These courses were part of a programme to improve business and financial journalism in Africa funded by Norad.